Dance Practice Jan. 27 -- Time Change! We have dance practice twice a month -- on the second and fourth Sundays of the month. The second Sunday we start dance practice at 12:30 pm and dance until the 3 pm Membership Meeting. No change to that day! But starting this year our fourth Sunday practice start time is being pulled ahead to 11 am, dancing until 1 pm. This will give our dancers a nice long afternoon afterwards. This new time starts this Sunday, January 27. If you're interested in dancing, come and try us out! No experience necessary! Read more about Dance Practice Jan. 27 -- Time Change! Many of you already heard this news at our Christmas celebration. Rita Miltner passed away on Thursday, November 29. She died just before her 84th birthday. Rita was still living in her family home, and her sons Kevin and Mark were helping her stay as independent as possible. Rita's husband, Art, died in January 2011. Rita was not at the club too much after that, but we did get cards from her on occasion. Rita and Art both joined Edelweiss in 1995 and were great friends of our club, participating, dancing, and working at events and behind the scenes. Mostly they'll be remembered for their kindness and pleasant natures. Son Kevin said that they loved being members. Ruhe in Frieden - Rest in Peace. Sat., Jan. 12, 11 am -- Memorial at Troy Christian Chapel, 400 East Long Lake Road (near Livernois), Troy. Luncheon immediately following at Kim's Restaurant, 102 East Long Lake Road, Troy. The Website is Up and Running Again! You may have noticed we had a few issues with the website the last 6 weeks. But we're up and running again! The calendar of events that was there during those six weeks was accurate but incomplete. Committee meetings & some out of town events have been added. There's also a "fridge edition" of the 2019 calendar of events that you can download or view (it was handed out at the December meeting and has not changed). The Wegweiser for September went missing but is back and the November Wegweiser has been added. Look under "Newsletters" in the right hand column for Wegweiser issues & one-page calendar). Wishing all of you a very Happy, Healthy 2019! Euch allen einen guten Rutsch ins neue Jahr! Read more about The Website is Up and Running Again! Can you believe it's less than a year away to the 2019 Gaufest in Washington, DC, hosted by Alt-Washingtonia? As of 12:01 am on August 1, you can reserve your room at the Hilton Hotel in DC either online or by phone. You'll have to pay a non-refundable one night deposit per room that will be booked to your credit card right away. Go to the Gauverband website (THIS LINK) for much more detailed information. Every year we have a great time together at our annual Edelweiss members picnic. 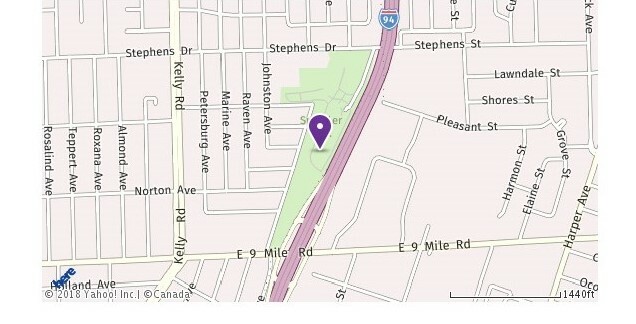 This year’s picnic will again be in lovely Spindler Park in Eastpointe. We enjoyed the large pavilion, close and clean restrooms, and easy parking last year. We start the fun at 2 pm. Bratwurst and rolls are being provided by our own Hubert Turner. Please bring a side dish or dessert to share with others. The amount and quality of good food on our table is pretty amazing! If you go away hungry…. well, it’s your own fault! Beer, wine, water, and soft drinks are provided by the Verein. It’s a bargain at $10 per person donation for such a feast with friends. Please let Annette Edelhauser (248.840.1953) know how many of you and your friends are coming. Let your friends know that a dish to share is highly recommended so that there’s enough food to go around. We’re always fortunate that our musicians bring along their instruments to play some music for us. Always a treat. See you there!